There are so many can’t-miss Orange Beach events and festivals in the fall on Alabama’s beaches, it may make your vacation planning a little more difficult! One thing is for sure, no matter when you visit, you’re certain to find lots of fun and lots of food on your next Orange Beach AL vacation. Browse our list of top Orange Beach events for fall 2018 and put the Alabama Gulf Coast in your GPS. Get the best rates of the fall season on our specials page. 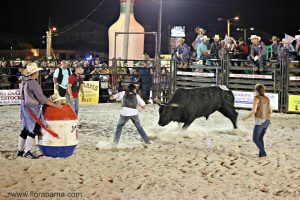 Professional bull riders from all over the Southeast converge on the beach for this unique family-friendly Orange Beach event at the Flora-Bama Lounge. General admission tickets start at $25 for adults, $15 for teens ages 7 – 17, and kids ages 6 and under are free. For more information, contact (251) 980-5118. Enjoy sampling more than 100 labels of wine and watching cooking demonstrations from renown chefs during this foodie favorite Orange Beach event. Even better, it’s a fundraiser for the Make-A-Wish Foundation of Alabama and last year raised more than $20,000! Tickets start at $35 each. 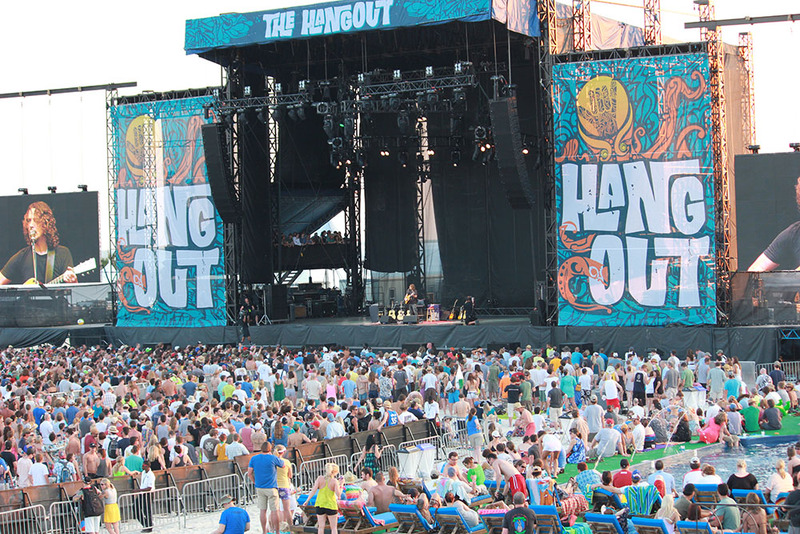 With an average attendance of 300,000, this Gulf Shores event should be named the JUMBO Shrimp Festival. You’ll find arts and crafts, live entertainment and seafood dishes for days! Admission is free. Arts and crafts, musical acts, an old fashioned midway, and more German-style food than you can handle! This fundraiser has been headed up by the Elberta Fire Department since 1978, and all proceeds benefit the fire department and Town of Elberta, AL. It’s a short drive from Orange Beach, but well worth the trip! Admission is free. Call (251) 986-5805 for more information. Not just oysters and craft beer; there are also demos and workshops from Food Network chefs, live music, and some friendly competition in this two-day Gulf Shores event. This is a unique food festival that’ll make you happy as a clam, well, oyster. General admission is $10 and kids 12 and under are free. VIP tickets are also available. It’s the ultimate food fight that combines food and sport at this Orange Beach event. More than 1,500 chefs and home cooks compete for big prize money in competitions such as the Steakout, BBQ, Chili Fest and more. This is America’s most watched food sport event. General admission is $10 and kids 12 and under are free. VIP tickets are also available. 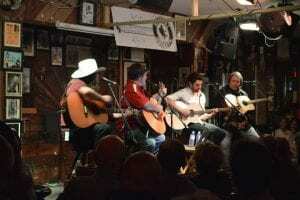 This Orange Beach event has been named a top 20 event in the Southeast and runs across multiple venues and features nearly 200 songwriters from around the world. Experience new talent, find out who or what inspired your favorite song, and feel a part of a community of music lovers during this 11-day festival. Admission price varies by venue. Pick your favorite Gulf Shores or Orange Beach event and book now at Turquoise Place. Browse the best packages of the season for the lowest rates on our specials page.